This is all made possible by the work the Mono team at Microsoft has been busy with. They have been working on bringing Mono to WebAssembly. WebAssembly has been around for a while now and it allows for the efficient and safe execition of code in web browsers. As a matter of fact WebAssembly is an open standard and with the introduction of iOS 11 it is now pretty much universally available on all major browsers. The Mono team has managed to bring the ability to run C# code within WebAssembly and hence develop applications using C# and Razor that natively run in the browser. WebAssembly is designed as an open standard by a W3C Community Group. You can learn more about it http://webassembly.org/. You can see a live demo here https://blazor-demo.github.io/. This is all part of the long term Microsoft strategy to embrace as many environments and tools as possible. They have been heavily investing in attracting as many developers as possible to their ecosystem. With their efforts in delivering open source frameworks and free cross platform development environments they are aiming to get people using their tools with the hope, of course, that they will choose Azure as their hosting platform. Long gone the days that Microsoft can demand huge sums for IDEs and compilers. Nowadays all an engineer needs is a good text editor and an LLVM compiler and off they go. Microsoft simply decided to provide most of their tools free of charge in order to attract people to their platform. Blazor is another great example of how they are shifting and embracing this brave new open world. WWDC 2017 – ﻿And so it begins! 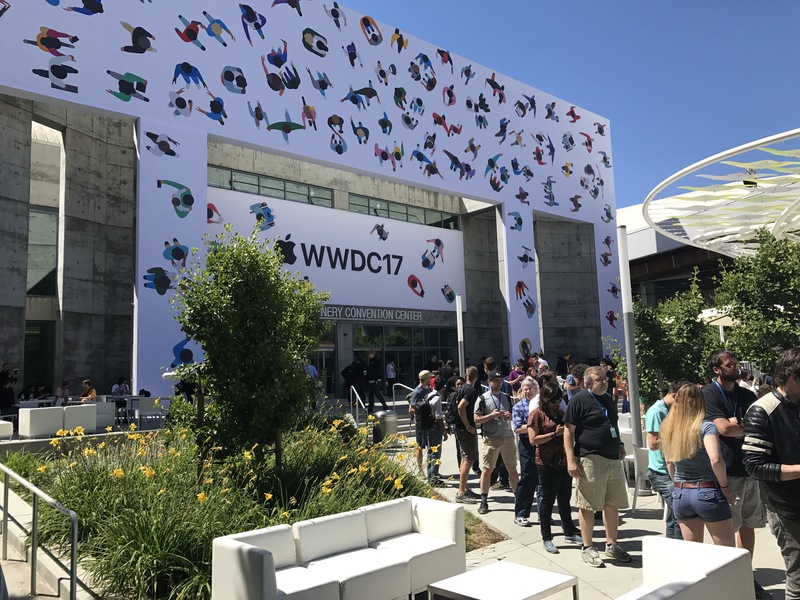 This year’s WWDC Keynote is only hours away and with registration completed, you can feel the excitement in the air in San Jose. Thousands of talented engineers are eagerly awaiting for this year’s announcements. Let a week of coding begin! Have a great week everybody. Yandex stretching your site like Spandex?!?! So you have built your great new wine selling site. You made sure you have used only the best practices. You invested time in making sure your software engineers used the best frameworks available to them. Your UI engineers have ensured that your site is fully responsive and will provide your users with the best possible user exprerience on any device. Whether it is a mobile phone, a tablet, a fridge door with internet connectivity or even something as exotic as a desktop computer – they made sure your site is accessible and designed to ensure optimal performance. But what if you are a bot? No really what if you are a bot? A search engine bot – say like googlebot or yandexbot? After all you want your users to find your site on their favourite search engine, so you made sure that all your links are crawlable and provided with a reasonable robots.txt file? But are you sure you haven’t provided far too many links? Clearly you anticipate that the site will be a massive success, hence why you made sure caching is used properly to ensure optimum performance. But how much can you cache? Let us assume that you have managed to sign up 1,000 vineyards from around the world. And all of these sell three types of wine (white, red and rose). So your site can sell 1,000 x 3 = 3,000 unique bottles of wine. Each of these bottles comes with a great description, ratings and various tags. Let us assume that each wine has 200KB of data attached to it. So far your site can actually return results of 3,000 bottles x 200KB = 600,000KB (600 MB) of data. So great you can cache all of that and your site will be super fast. But what about the currencies and sorting? Ah yes well that will create more unique cached result sets. Actually a lot more! 20 languages x 25 currencies x 2 sort directions x 600 MB = 600,000 MB (585 GB). Can you still cache all of that? No you can’t. But then you most likely don’t need to. Most users will not convert the prices nor change the sorting too often. You can afford to produce these result sets when needed and cache for a short time. What about bots? Have you made sure that all your links have rel=“nofollow”? Yes all your A tags have that attribute, but what about your input select tags that you included for your mobile users? These cannot have rel=“nofollow”. And that will cause bots to crawl your site for all of these extra links that don’t really alter the results sets and don’t really add any SEO value. Initially your site will perform fine but over time it will start to buckle a bit. If bots are finding all your currency and order parameters in your URLs then your servers will start to cache slowly more and more data. And because it is highly impossible you will have 1TB of RAM you will start running out memory pretty quickly. Which means your system’s page file will start coming into use and that’s when your site will really slow down. Well until of course bots like google realise this and slow down their crawl rate to allow your site to catch up or maybe they don’t? Some bots, like Yandex, will actually do 20-30 simultaneous calls to your site. Can you imagine the load? – All your non result altering links (sorts, currency conversions, locales) need to have rel=“nofollow”. – Upload an appropriate robots.txt file to your site. Ensure you exclude params in them and even set the frequency of querying. Some bots, like Yandex, allow you to slow down the crawl by providing extra params in your robots.txt file. By adding the above statements to your robots.txt you are telling Yandex to allow at least 4.5 seconds between calls to your site and to ignore the specified params. This doesn’t mean that your site will be crawled every 4.5 seconds. I hope this will help you to not allow bots to control and “stretch” your site’s resources. I love my Sonos Speakers and I love my Apple devices. But most of all I love the simplicity of AirPlay. Unfortunately I hate the Sonos software. It’s difficult to use and doesn’t integrate well with other services such as Spotify. So why not use AirPlay directly from my iPhone or iPad to play music to my Sonos speakers? Well the answer is simple. Sonos chose to not include the necessary hardware and software components needed in their speakers. I don’t really know why, except for the cost of licensing from Apple. For those of you waiting for native AirPlay support from Sonos, that won’t happen. Well not for existing systems anyway. AirPlay does require hardware components as well as software to work. AirSonos is an open-source free server that adds AirPlay support to your Sonos devices on the network. The only catch is that you will need to have your Mac running if you want this work all the time. But small price to pay for AirPlay! 2. Once downloaded, install the package. Make sure you use the default settings. 3. Start the Terminal App. 4. 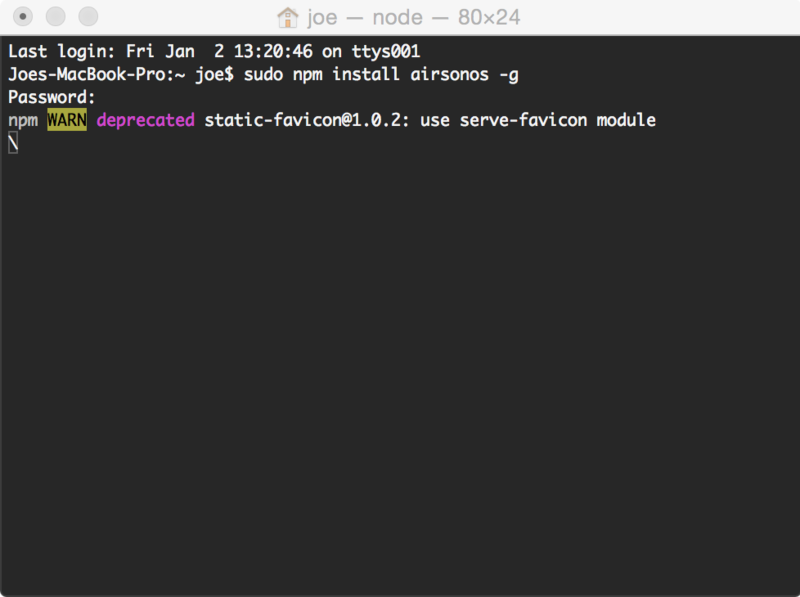 Type sudo npm install airsonos -g (enter your account password when prompted). The install will take a while (note an Internet connection is needed). 5. 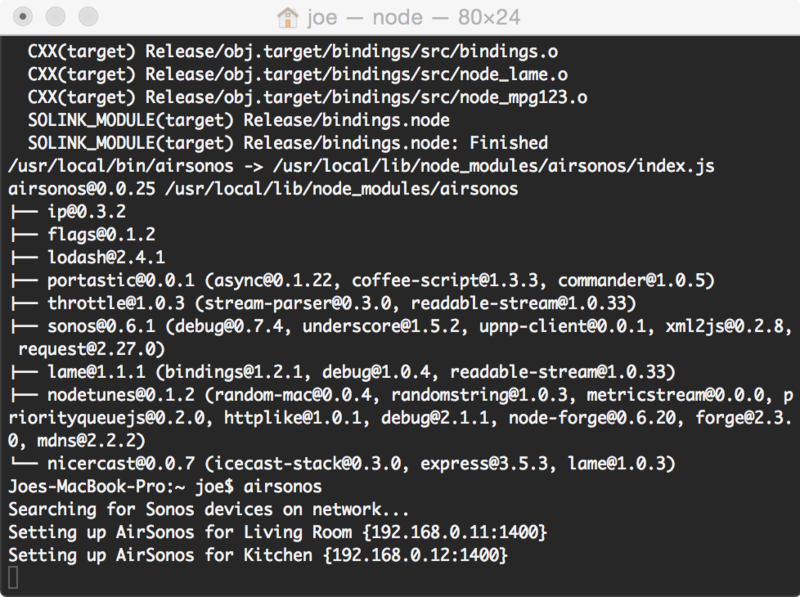 Once that is completed, just type airsonos and voila, you will see all your Sonos devices visible in the prompt. Note that this must remain running if you want to have access to them from your iDevices as well as any other Macs. 6. Now open your AirPlay menu on any iDevice and you will see your Sonos players there (might take a few seconds). 8. Then double click the file and there you have! You can read and contribute to the project here. In this series of blog articles I will try to cover a number of very important software design patterns, that every developer should have in their toolkit. Design patterns are highly reusable solutions to common software design problems. At their core they are just simple code templates that have been designed to help engineers write clean, reusable and easily understandable code. Most, if not all, design patterns apply across all modern object-oriented programming languages. Despite that, I will be using my favourite one, Objective-C, for this series of articles. In this article we will cover the Singleton pattern. The Singleton pattern makes sure that only one instance of a class can ever be initialised. This is extremely useful when you need a single global access point to an instance of a class across your system. There are numerous examples of the Singleton pattern used across Cocoa Frameworks. For instance [UIApplication sharedApplication] is an example of a Singleton object. Let’s assume we are building a download manager. This class allows you to add items to a queue for downloading from a specified URL. You will want the process of downloading to be accessed in global fashion from any part of your application. That way you can provide feedback on completion and progress as well as access for adding items to the queue. The code below assumes you are familiar with GCD (Grand Central Dispatch), Apple’s concurrent code execution framework for iOS and OS X. You can read more here https://developer.apple.com/library/mac/documentation/Performance/Reference/GCD_libdispatch_Ref/Reference/reference.html#//apple_ref/doc/uid/TP40008079-CH1-SW1. Also we will be using Blocks. Blocks are similar to C functions but on steroids! You can read more here https://developer.apple.com/library/ios/DOCUMENTATION/Cocoa/Conceptual/Blocks/Articles/00_Introduction.html. Firstly we declare a static variable that will hold our instance and make it globally available within our class. Then we declare a static dispatch_once_t variable. This predicate will ensure that our initialisation code will execute once and only once for the lifetime of our application. Finally we use GCD’s dispatch_once function to execute a block of code that will initialise our instance of sharedDownloadManager. GCD ensures this is done is a thread-safe manner. So next time the [[DownloadManager sharedDownloadManager]is executed it will initialise an instance of our class. Subsequent calls will always return a reference to the previously created instance. You can now safely call any instance function of this class, knowing that you are working against one global instance. Of course you can expand the above code to add your own custom initialisation code as well. Please follow me on twitter for live coverage of this year’s WWDC Keynote.